Severe embarrassment has to be one of the worst things to go through. You know that feeling when your cheeks instantly glow red, your heart starts beating really fast, and you wish the Earth would just swallow you whole because everyone around you is looking at you with a little pity on their face? Yeah, it’s not fun…and it’s also something you’ll relive at night, every time you’re just about to fall asleep. If you want to do something to ease that pain, science might actually have an answer. 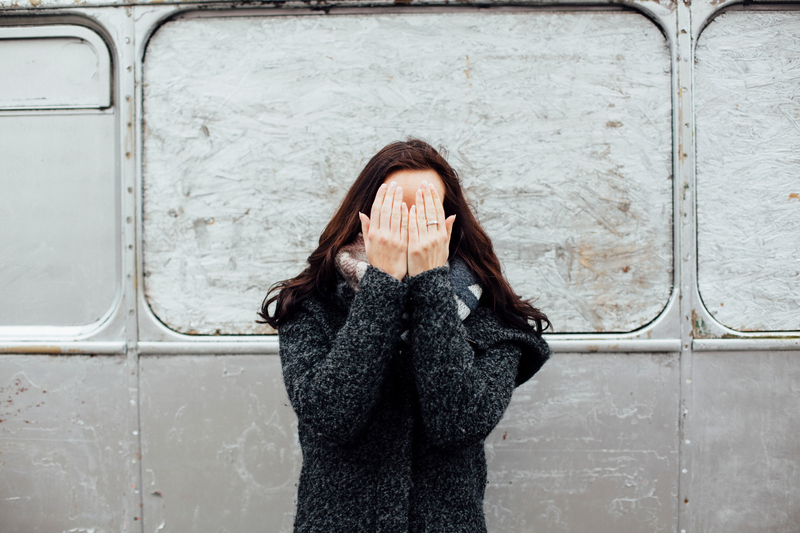 A new study says that there’s a way to feel less embarrassed in a mortifying situation, and it’s a game-changer. A series of three experiments, run by Dr. Li Jiang of Carnegie Mellon University, looked at participants’ reactions to — and there’s no delicate way to put this — unexpected farting and other embarrassing scenarios. In the first study, participants were asked to respond to an advertisement that showed a person accidentally farting during a yoga class (who can’t relate?). In the second study, participants reacted to an ad about getting tested for STDs. The last study looked at the reactions of participants when they saw an ad showing a man accidentally farting in front of a love interest. Dr. Jiang ultimately found that you can feel less embarrassed by changing your perspective on the situation. Basically, the “scientific” way to feel better about an embarrassing moment? Put yourself in the shoes of the observer, aka the person witnessing your embarrassing action. Imagining what they might think about the situation will supposedly make you feel less embarrassed. Dr. Jiang found something that isn’t too surprising: people who are really self-conscious in public are more likely to feel more embarrassed about something. But when those people were able to put themselves in the shoes of the observer, their anxiety was reduced. This is definitely worth trying, and it’s easy to do it without bringing too much attention to yourself. Simply take a mental step back and try to change your perspective — the situation is probably a bigger deal to you than it is to the person you’re with. After all, farting on a first date is a horror that can befall anyone. This isn’t the only way to deal with embarrassment, though. A 2014 study by John Jay College professor Joshua Clegg found that the best way to minimize embarrassed feelings is to confront them head on, specifically by using humor. In other words, make fun of yourself. Make a joke about what just happened, or force a laugh even if you want to slowly die inside. Clegg said that even just pausing and then saying, “Awkward!” is better than acting like the embarrassing moment didn’t just happen. Avoiding it and pretending it never happened isn’t going to make you feel better — but humor might. Okay, great, so you get through the moment. But, uh, what about later that night, and the weeks that follow, when it keeps popping up in your mind and making you blush at random? A 2014 study done by Florin Dolcos, Ph.D., a psychology professor at the University of Illinois, found that you can ease that awkward feeling by focusing on smaller details of the situation rather than the awkward moment itself. For example, think about what you were wearing or where you were rather than the mortifying moment. Focus on context rather than what you felt. And now you have three things you can do the next time you manage to embarrass yourself in front of someone important. Thank us later.